Well, it is now a month since the tour and I refrained from penning this article until I was sure that I had fully recovered from the disappointment of losing a test series that the Lions should have won fairly comfortably. The 2009 tour started out with fairly low expectations. The Lions were heading down to South Africa, home of the World Champions. Given the previous performance of the Lions against New Zealand which resulted in a comfortable “black wash” by the All Blacks, expectations of the Boks were such that the result in local eyes was already considered a foregone conclusion. Most of the Lions fans were reluctantly in agreement, even if they did not voice their concerns publicly. The opening weekend of the tour saw the Lions take on a Royal XV in Rustenburg in a near empty stadium where the Lions stuttered to a fractured opening win. The poor crowd figures were blamed on the Super 14 final featuring the Bulls up the road in Pretoria. 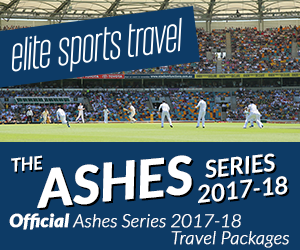 However the poor attendance continued throughout the tour at all grounds (including the Tests) due to exorbitant ticket charges levied. The only match even approaching a sell out was the second Test. The signs over in Pretoria that opening weekend were ominous to say the least. The Bulls, containing pretty much half of the Springbok side, tore into the Chiefs and produced the most one sided final of a major rugby competition I have ever seen! The Chiefs were certainly the second best team in the whole competition, but they were no match for the Bulls, and half of that team would be playing for the Boks a few weeks later. Gulp! 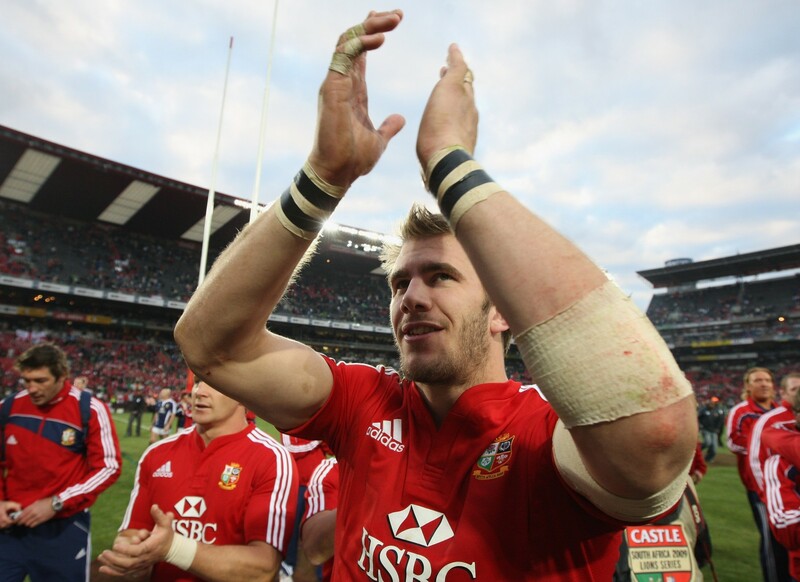 The tour ploughed on with convincing and shaky victories for the Lions in equal measure. Performances by what was largely the core of the test side were good, with the games against the Golden Lions and Sharks standing out as particularly impressive wins. It was obvious that key partnerships were being formed that would be carried into the tests. In particular, centres Jamie Roberts and Brian O’Driscoll together with the back three of Lee Byrne, Tommy Bowe and Ugo Monye were impressive. Up front, potential test combinations were forming in the back row with Stephen Ferris, David Wallace, Tom Croft and Jamie Heaslip all looking like potential test starters. It was also obvious that in the alternative matches featuring the perceived midweek side the Lions were struggling, with narrow victories over the Free State Cheetahs and Western Province. In particular the Cheetahs (who were one of the weakest Super 14 sides in the tournament previous to the tour) were a missed kick away from beating the Lions with their flanker Heinrich Brussouw giving the Lions flankers a lesson in back row play. It wouldn’t be the last the Lions would see of Brussouw, unfortunately! The test matches came around all too quickly and with the news that talismanic flanker Schalk Burger would miss the first test through injury, Brussouw gets called up to step into the breach. Of course it was obvious that our new “best friend” would contribute a try to the Boks 26-7 half time lead in what seemed to be shaping up to be a very one sided contest. At this point, even the most optimistic Lions fans were staring down the barrel and wondering where it had all gone wrong. After a further score for the Boks just after the break, the Lions dug deep and started to play a bit. A good deal of concerted pressure followed, the Lions scored and gave a glimmer of hope to the travelling fans. Further pressure from the Lions forced another late score by Mike Phillips and suddenly with five minutes to go it was game on! The Lions were back within range of what would have been one of the greatest sporting turnarounds ever and the Boks were seriously wobbling. Springbok coach de Villiers sent captain John Smit back onto the field to steady the ship and the Boks survived the remaining minutes without conceding to scrape their way to a first test victory, avenging that famous day in 1997 in Durban. Onwards to Pretoria via a particularly wet and windy Cape Town for the final midweek match against the Emerging Springboks. The conditions for the midweek game were awful. The quality of the match was equally poor with handling errors from both sides contributing to a stop start game and therefore low scoring effort. The game was only notable for the last minute score from the Emerging Boks and a conversion from out wide by replacement Willem de Waal drew the scores level with the last kick of the match. The second test at Loftus Versfeld was next up and with the wind in the Lions sails following the comeback against the Boks in the second half of the first test, it was once again a tale of two halves with the Lions taking the Boks by storm in the first half before the Boks roared back to sneak the win with the last kick of the game. The game was a real heartbreaker for the Lions and their fans. The Lions tore into the Boks right from the outset and enjoyed much the better of the play for the first 50 minutes of the match. Unlike the Lions on the previous weekend though, the Boks kept the score in touch with a couple of scores of their own. With injuries to key players on the Lions side taking their toll, the Boks began the fight back through Habana and a hotly debated try in the last few minutes from Jaque Fourie. Stephen Jones kicked a penalty to draw the Lions level with just a few seconds to go on the clock before Ronan O’Gara needlessly conceded a penalty within range of the long boot of replacement full back Morne Steyn. Steyn duly converted the kick to give the Boks an unassailable 2-0 lead in the series and inflict a third consecutive series loss on the Lions. In truth, although the record books now say that the Springboks won the first two tests, it could so easily have been a 2-0 series lead the other way round had the Lions just had, in legend Ian McGeechan’s words, the rub of the green on a couple of key decisions. Although the series victory was achieved by the Boks all was not, and indeed still is not, well within their camp. Coach Peter De Villiers has faced intense criticism for the performance of his side and the tactics in the matches, particularly with regards to replacements. The Lions will always feel hard done by that they lost the series, particularly with all the circumstances conspiring to go against them at crucial times. The final test in Johannesburg was always going to be a bit of a dead rubber, but to the Lions eternal credit, they were determined not to get white washed by their hosts for the second time in a row. The Lions squad went off on Safari immediately after the disappointment of losing the series where for a few days there wasn’t a rugby ball in sight. The trip appeared to be a masterstroke from Ian McGeechan, because his charges strengthened their bond and came out fighting in the final test. The battered and bruised Lions who were still standing duly sent all the Lions fans back to the UK with their tails firmly up following a crushing win against the Boks in the final match of the tour. Notably, players who would be playing in their final game in a Lions jersey stood up to be counted. These included diminutive winger Shane Williams who despite a very poor series of performances on the tour, produced a man of the match performance. Martyn Williams too had an excellent game in his final Lions appearance and centre Riki Flutey, who had struggled previously in the tour, also put in a fantastic performance compared to his other efforts in South Africa. Even though the Springboks had a number of changes to their side in the final game, the Lions were the better team throughout the whole match and comfortably controlled the game, outscoring their hosts by 28 points to 9, inflicting a crushing defeat in the spiritual home of South African rugby. Even the All Blacks don’t win at Ellis Park.